Pixar spent over a decade building an empire of lovable, memorable characters, so it only seems right that they should be able to call upon those characters when they see fit (see: Toy Story 2, Toy Story 3 and the upcoming Cars 2). While sequels normally induce near-instant eye rolling, Pixar has proven they know their characters and they know how to continue their stories without falling into the trap of franchises like Land Before Time or Ice Age. It's been known for some time that Sully, Mike Wazowski and crew from the 2001 hit Monsters, Inc. would be returning for a sequel, but now we finally have some details. 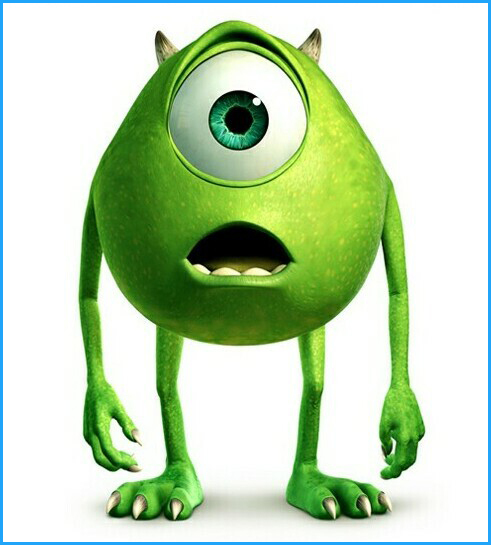 At a presentation at Las Vegas' CinemaCon last night, Pixar announced that the sequel will in fact be a prequel entitled Monsters University, which will tell the story of how blue flurry Sully (voiced by John Goodman) and one-eyed wonder Mike Wazowski (voiced by Billy Crystal) met at school and became not-so-fast friends. This seems like the perfect move for these characters, especially considering how nicely the first movie ended. Yes, there was a slight cliffhanger ending when Sully went back to visit Boo, but I don't think there's an entire movie's worth of story there. I'd much rather see exactly how Sully, who is down to earth and fairly calm, got paired up with loud-mouthed hyperbolic Mike. Maybe we can even see how Mike fell in love with snaked-haired Gloria—with any luck she was the president of a sorority. Monsters, Inc. is one of my Pixar favorites, so I can't wait for these characters to return. Monsters University is currently slated for a 2012 release.